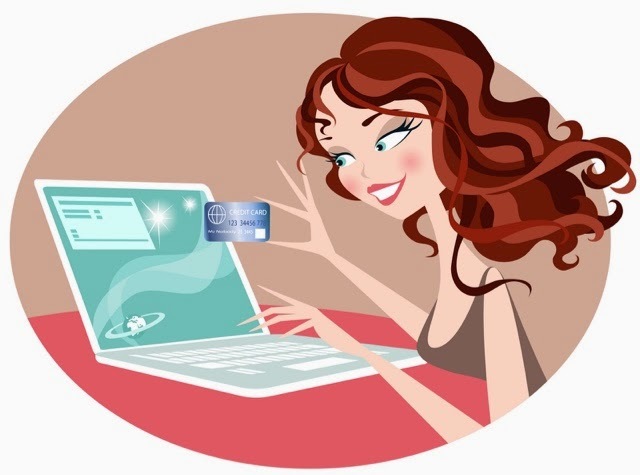 Today I thought I'd share with you my top 5 websites for beauty products. These are the sites that I am subscribed to (though there are many more!) so I get notifications pinging into my email inbox almost daily with special offers and good deals. I really like Superdrug.com, my local Superdrug store is not a large one so they don't have a particularly large stock. I find that browsing the online store is so much more satisfying because they literally have everything there and their sales, BOGOFs and half price items are easy to check out as they are in a separate list. Recently, I got a couple of Zoella items from there (which actually haven't arrived yet but will soon, I hope). The postage is free if you spend over £10 and lets face it, how easy is it to spend over a tenner in Superdrug? I know I certainly don't have any problem for sure. I've recently been looking at Make Up Revolution palettes and this site has a lot of choice. Another site with a lot of choice, particularly for hair products. I have purchased both my Label M Curl Cream and my Curls Rock from there and at a much reduced price than you find in the hairdressing salons. Lots of choice here, products for home, hair, make up, face, body, nails, electrical and men AND an entire page dedicated to offers. If you subscribe to their newsletter you get first dibs on all the free gift information and sales news, I find these things worth knowing even if you don't take them up. They are particularly good for the Kerastase brand, lots of variety and at a reduced price as well. I don't ever remember shopping at All Beauty so I was confused when I found they kept emailing me! Then I realised they used to be called Cheap Smells (which I had subscribed to) so I'm guessing Cheap Smells took them over. Personally, I find All Beauty a much nicer name than Cheap Smells! Anyway, it's not all about the fragrances though if you do have a particular favourite it's worth giving these guys a look before you fork out mega bucks for it, they are particularly good around Christmas, Valentines, run up to holiday season etc, as they tend to have special offers around this time. Time for another "I've re-discovered" post! 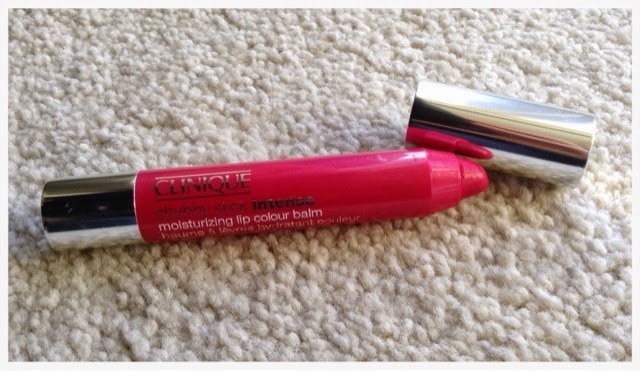 This time its the Clinique Chubby Stick moisturizing lip colour balm. These were released last year and were extremely popular, there were numerous reviews on them and they were pretty much all positive. Personally, I really like Clinique, I haven't used a great deal of their skincare range but I've got several Clinique eyeshadows and I love them and I also had an amazing Clinique lipstick that I loved and bought solely as a colour replacement for a Max Factor one that was discontinued, and we lived happily together until, sadly, Clinque decided to discontinue that colour as well. But I'm digressing, this post is about Chubby Sticks so I'll get back on to the subject. I bought this last year but didn't wear it very much, as you can see it is quite a bright colour and in the summer it didn't quite suit me, it is very pink which is lovely but as I'm fair and a red head I have to be careful with pink as it either washes me out or overpowers me. Anyway, I re-discovered this the other day and it was on such a dull old day I thought maybe it would brighten things up. I was pleasantly surprised to see that it clearly suits me better in the winter than the summer! 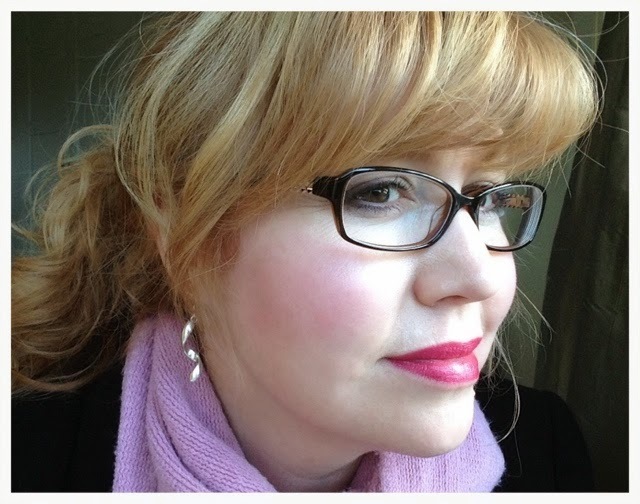 I've worn it a few times ever since so I think we can safely say that it's my current "go to" lippy. 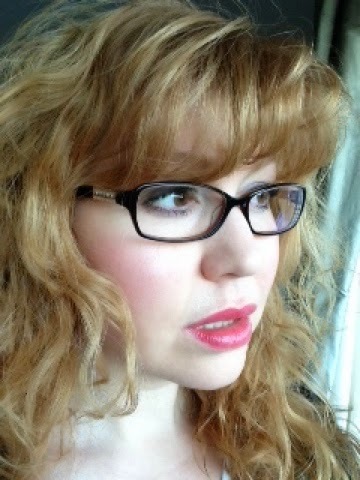 As you can see from the photos its a glorious rich colour and the lipstick is very moisturising. 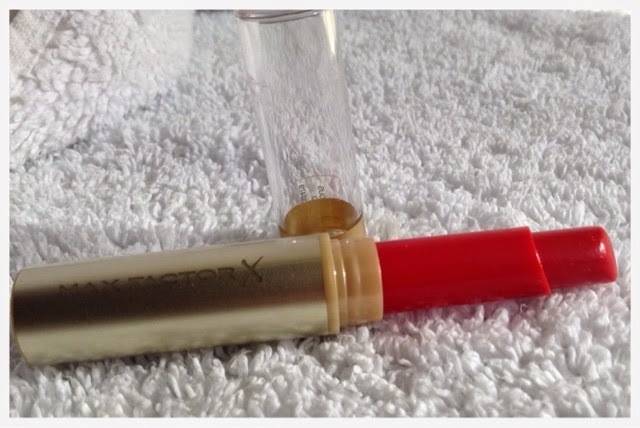 Its not one to choose if you want longevity in a lipstick as I found it wasn't particularly long lasting, perhaps that's because its more of a balm but easy to reapply and the chubby stick form means it's great to pop in your pocket or handbag. The colour of this is number 05 Plushest Pink and costs £17.00 from www.clinique.co.uk. Has anyone else tried these and if so which colours would you recommend, as I'm going to get another one. Clinique Chubby Stick Intense in "Plushest Pink"
Clinique Chubby Stick - this is what it looks like in daylight!